If you went to college to get a degree, you’d spend between 2-4 years full time to either advance your career or switch fields. According to the College Board, the average cost of tuition and fees for the 2016–2017 school year was $33,480 at private colleges, $9,650 for state residents at public colleges, and $24,930 for out-of-state residents attending public universities. That means that over 4 years you could spend $38,600 – $133,920 and hopefully have a job when you’re finished. 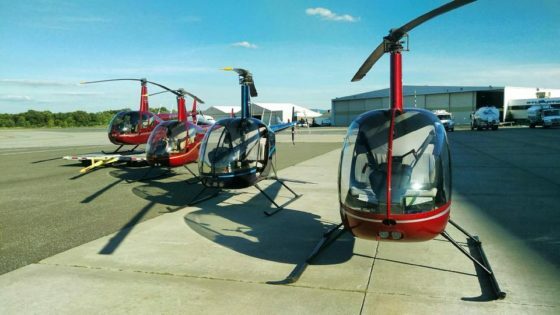 Flight training on average costs roughly $76,000 at Independent Helicopters to go from zero experience to a job as a flight instructor. It can take as little as one year to complete, but on average takes roughly 2 years while working a full time job. A degree is not required, although recommended. Speaking from my experience, I attended Utah Valley University’s online Global Aviation Degree Program and received my Bachelor’s in Aviation Science while attending flight school and working 2 full time jobs. I used the courses I took through UVU as the basis for my student loan requests through Sallie Mae. Now, let’s talk about the types of funding available. If possible, this should be every student’s first stop on the road to financing. However, students pursuing careers as commercial pilots may find that this isn’t an option as not many schools meet the requirements to receive Federal Financial Aid. The Federal Pell Grant – Unlike a student loan, money from a Pell grant does not have to be repaid. The Pell grant is awarded on the basis of financial need, and the maximum award amount is $5,500. Federal Direct Subsidized and Unsubsidized Loans – These low interest student loans are offered by the Federal government to help students find the money they need to complete their education. They are based on financial need. Qualifying students will have the interest on their loan paid by the government while they are enrolled in school. Unsubsidized Loans are not based on financial need and students will be responsible for all interest that accrues. The Federal Direct PLUS Loan for Parents – The Direct PLUS loan can be borrowed by the parent or legal guardian of a dependent child to help pay for their child’s education. Students pursing Federal financial aid will also need to fill out and submit the Free Application for Federal Student Aid to determine the level of financial assistance for which they are eligible. Private, or alternative, loans are offered through banks, savings and loans, and private lending organizations, but not all lenders offer loans for career training. Sallie Mae is one of the largest private lending institutions in the United States. They currently offer the Career Training Smart Option Student Loan for students enrolled in a pilot training program at a licensed flight school within the U.S. will be eligible for this loan. Wells Fargo offers a wide variety of student loans, including the Wells Fargo Student Loan for Career and Community College. This loan is applicable to students enrolled in pilot training programs at a recognized licensed flight school. The opportunities are almost endless, but it is a demanding career which requires a lot of training and it can cost a lot of money to complete the necessary flying hours which are often necessary to gain employment. A career in aviation is a challenging path to pursue, but it is one that offers excitement, travel and financial stability.